When TextBlock3 loaded it was doing Environment.GetEnvironmentVariable(“SomeVariable”). The variable in question did not exist on our Windows 8.1 images. 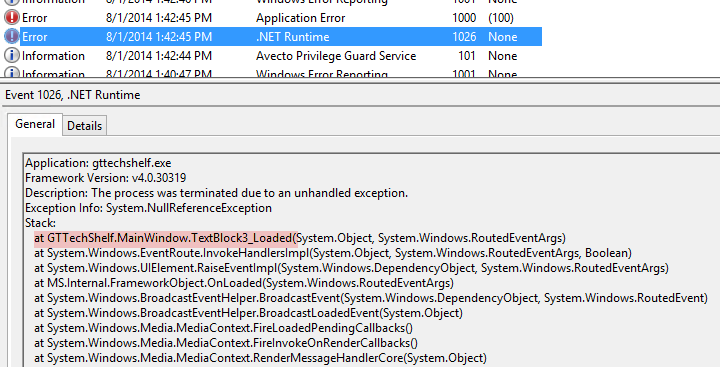 Although this did not seem to pose an issue for my Windows 7 dev box (it just would not display the TextBlock), Windows 8 will throw an exception if the variable does not exist and the app will crash. The likely cause my dev PC did not encounter this exception when running was because .NET framework 4.5 was not installed whereas .NET 4.5 is the default framework in Windows 8.